Does the name Crystal Lake Publishing originate from the Friday the 13th movies? Your favourite movie, perhaps? I wouldn’t say it’s my favourite (I won’t even be able to choose one), but it was one of the earliest horror movies I watched growing up. Fortunately my parents didn’t mind me watching scary movies with them. Little did they know I snuck out of bed certain nights to watch that same movie again, alone – just me and a pillow to hide behind. I was actually looking for a company name that not only paid homage to horror, but something that sounded professional, and in the long run didn’t tie me to just the horror genre, since you never know what the future holds. I’m quite happy with Crystal Lake Publishing, since it immediately brought the company logo to mind, as well. Since a young boy I’ve always been interested in the supernatural. I loved scary movies. I didn’t care if there weren’t really any monsters creeping around in the dark. It was the possibility that excited me. You put two kids in a dark room with an open closet and each one will imagine their own unique monster. I’d say the biggest turning point was when I watched Alfred Hitchcock’s Final Escape episode. The twist in the tale story has been my favorite ever since. And let’s not forget The Monkey’s Paw. As writers we quickly learn what grabs the attention of readers. Things like drama, action, conflict, strong characters, dire situations and an antagonist that wants the exact opposite of your hero. And if you look carefully at these aspects, you’ll see they all play a big role in all stories. Horror is in every genre: losing a loved one is a horrible event; standing on a stage in front of people; being laughed at; losing a fight; being dumped, getting married (just kidding). Plain and simple, horror stories are exciting. You never know what to expect. Crystal Lake Publishing has also just published Gary McMahon’s short story collection, Where You Live. McMahon has built up a solid reputation as one of the hottest horror authors around at the moment – how did you secure this coveted collection? 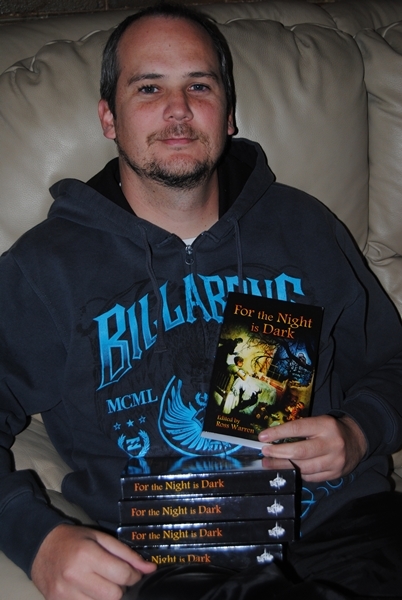 I met Gary through a project we were both involved in at Dark Minds Press (Dark Minds anthology), and he was the first person I invited for Crystal Lake Publishing’s inaugural anthology, For the Night is Dark. He was also the first to accept. I’m a 100% certain that some of the other authors joined the project to share the TOC with him. We stayed in contact after that, and I’m of course a big fan of his work. He’s already working on The Outsiders with a few other authors, including Simon Bestwick, which will be out in 2014. He also recently wrote an introduction to Fear the Reaper (the 2nd anthology) and I think he was quite impressed with the quality of the book. It was then that he contacted me about republishing a sold out, limited edition book he had published a few years back with Grey Friar Press, including a bunch of new stories, of course. How does the working day look like for Joe Mynhardt? Okay. I get up at 6:24am, breakfast bell rings at 6:45. Because I live at the school where I work, I walk to school in under a minute – awesome. I get to school at 7 but only start teaching at 7:40. School comes out at 13:40, so I rush to get lunch, then greet my wife and dogs, as well as change clothes, before going to sport at 14:00 (what a rush). I coach soccer and cricket, depending on the season. After hours of standing, marking, arguing and solving problems, I finally go home at around 15:30. Some days I come out a bit earlier. If it’s cricket season, a match can easily take you to 18:00. I do my best to put on my publisher’s hat as fast as possible, so I can get some work done before my wife comes back from work at 17:00. Believe it or not, the hostel serves dinner at 5pm, as well. Then, on two nights a week, I’ll sit in study hall for an hour, helping the kids with their homework. After that I get a bit more work done. I try to finish by 21:00 every evening, but it’s not always possible. Then we either watch an episode of a series, or I read or listen to an audio book before going to be at 22:30. All this happens on a good day. On a crap day I’ll have to drive around and do errands. I normally leave errands for Fridays, but things just don’t always go according to plan. For those who might not know, once a book is accepted, approximately how long does it take for it to be published? The big publishers can take up to three years, but they take on way too many titles, and have too many people working on one project, anyway. There are a lot of factors that come into play. For example, some books require a rewrite in certain areas. Since the authors I use in anthologies are highly sought after, I give them 6 months to write their contributions; they have a lot of other deadlines to cope with. After that it takes about 2 months to edit the anthology, then I might need to send it to someone who’s writing an introduction. I also need a month or two to send out ARC’s for pre-launch reviews that I’ll use during the launch. Somewhere in there the cover needs to be made, eBook and paperback formatting, scheduling a successful launch or blog tour and so on. So I prefer about 9 months per project. What we can expect from Crystal Lake Publishing in 2014? 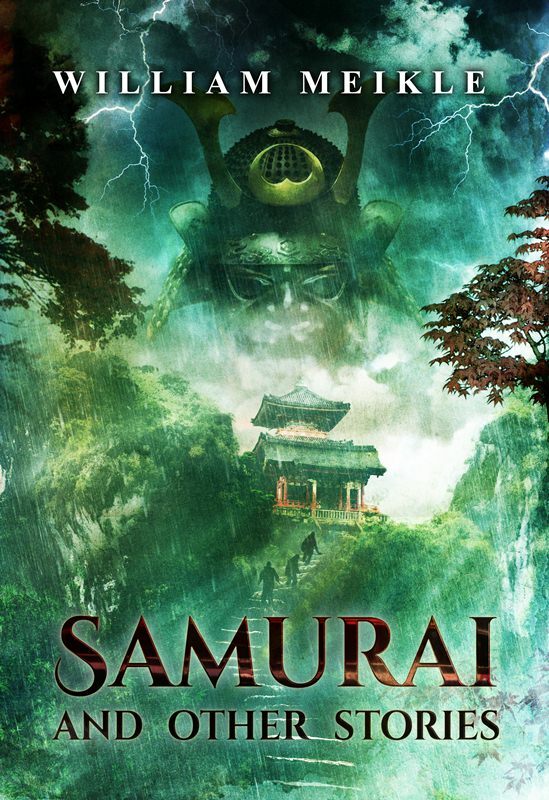 William Meikle’s Samurai and Other Stories. 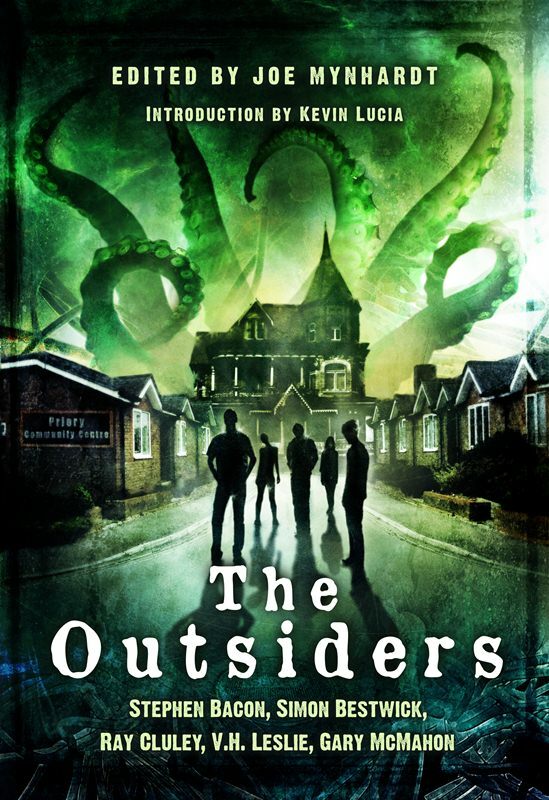 The Outsiders (a Lovecraftian, shared-world anthology). A yet to be named non-fiction eBook that’ll guide horror writers in the right direction, written by a host of horror authors. 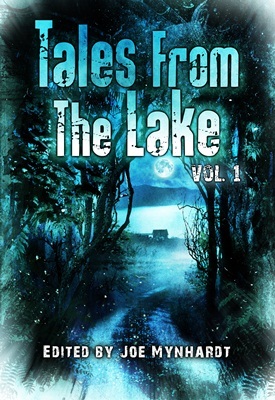 Tales From the Lake Vol.1. 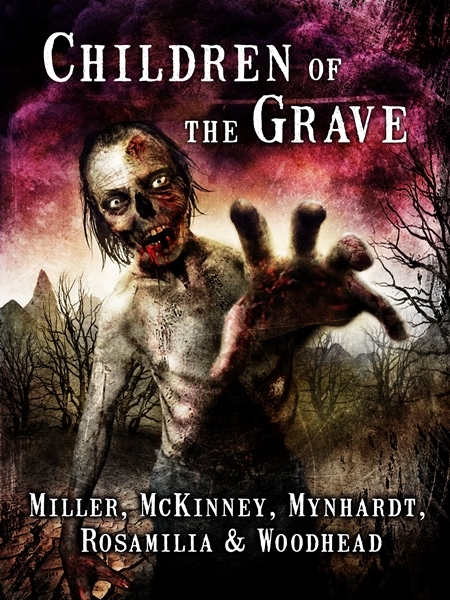 Children of the Grave (a zombie, shared-world, choose your own adventure collection, where each author writes a different direction). And if everything goes well and things aren’t too hectic, I’ll be able to finish my second collection by the end of 2014, but it’ll probably only be out early 2015. The second Tales From the Lake horror writing competition. But you never know what opportunities will come along. I always leave a bit of room in case something big comes knocking. You see, always be ready when opportunity comes knocking. Where can we find Crystal Lake Publishing on the internet? All our books can also be found on Goodreads. And of course Amazon. But instead of barraging you with links, it might be better to just visit our books page. If you click on the book covers, you’ll find out more about each book, or you can just click on the Amazon buttons to follow the universal links straight to your country’s Amazon outlet. I’m also very approachable, so don’t hesitate to contact me at crystallakepub@gmail.com. I’ll add you to the mailing list (which goes out with every new release), and if you’re an author, be sure to send me a bio and links to (or examples of) your work. I might just contact you for a project in the future. When it comes to the invite-only anthologies you’re known to put together, are there any surprises and/or co-incidental similarities in theme that come about? Surprisingly not. Each story is just so unique in its approach and symbolism. You see, I like to study writers and their work, then I bring a bunch of them together, a bunch I’ll know will not only fit nicely together, but bring out the best in each other. Once the stories are submitted I’ll work with the authors to sharpen the story, and if I do ever find any similarities are will not benefit the collection, we’ll work on it together till everything evens out nicely. Once I invite an author to an anthology, he/she is 95% guaranteed to be in that anthology. There will probably be a first someday, where an author and I will agree that the story isn’t going to work. Not all authors are easy to work with. A great approach is to show the carnage the ‘monster’ or whoever has done, without actually showing him or it until the very end. That way you have the chills and the gore. There are great stories with only the psychological horror, but too many of them in a row tends to weaken a collection, in my opinion. What considerations to you take when it comes to cover art? Do you leave it up to the author or artist or do you take full control? Most of the covers come either from a picture I had in my mind, or a part from a story in the collection. Artists Ben Baldwin likes to read a few stories to get the feel of the book. But when it comes to an author’s collection, I connect the author with Ben and they work it out amongst them. Ben knows what I like and I have 100% faith that he’ll create another masterpiece. From the start he’s always been able to bring the picture in my mind to life. My initial love of books started with book covers. I’m a big fan of covers, whether it’s vinyl covers or DVD covers. I’m a big fan of emotionally impactful covers. Covers that you can stare at for days. Every time the reader picks up the book, they’ll first stare at the cover before paging on. If you can make someone feel let’s say anger, fear, awe, curiosity or unease when they look at a cover, you’ve already set the mood for a great book. Some of the covers might remind you of a childhood fear, or perhaps make you realise that you’re scared of something and you never realised it.